Catherine the Great (1729 – 1796) was the longest serving Russian monarch, reigning from 1762 to her death in 1796. She presided over a revitalisation of Russian strength and partial Russian enlightenment. She was born Sophie Frederike August von Anhalt-Zerbst in Stettin, then part of Prussia (now modern Poland). In 1745, she was accepted into the Russian Orthodox Church, changed her name to Catherine and married Grand Duke Peter, grandson of Peter the Great and heir to the Russian throne. At first, she was viewed with suspicion in the Russian court because of her foreign roots, lack of Russian culture and liberal attitudes. However, she threw herself into Russian culture and became adept at forming relationships within the Russian court. Over time, her foreign birth became less important, as she was increasingly seen as more capable than her husband – Tsar Peter III – who was seen as weak, childish and incompetent. There was little love between Catherine and her husband. It was said that Catherine was soon engaged in various love affairs with top officials in the Russian court. Catherine and Peter did have one son – Paul who would later succeed Catherine. Shortly after her husbands’ – Tsar Peter III’s – ascension to the throne, he was deposed and Catherine put in his place. Peter was killed shortly after; it is not known whether Catherine had any knowledge or involvement in his death. Once Catherine had gained the throne, she proved to be an astute leader, gradually widening Russia’s sphere of influence, expanding Russia’s borders and continuing a process of gradual westernisation, begun by Peter the Great. If her husband was weak, Catherine was never in doubt about her position and power. During her reign, Russia expanded her territories into Belarus, Lithuania, the Crimea and Poland. A key relationship for Catherine was with Grigory Potemkin. Their relationship was personal but also very important politically. Potemkin was very capable from a military perspective and proved to be a powerful leader in the new Russia of the south, helping to win over the people of Crimea. This helped to foster Russia as a new superpower on the European stage. In her early years, Catherine held remarkably liberal attitudes. This is best exemplified by the Legislative Commission’s document of Nakaz or ‘instruction’ It contained a model of the ideal government with respect for individual rights and the pursuit of justice. However, after the outbreak of war with the Ottoman Empire in 1768, the document became sidelined and then ignored. Due to declining economic conditions and conscription into the Russian army, the Russian masses felt a great injustice and saw no benefit from Russia’s expansion. This led to rebellions, such as the Pugachev rebellion (1774-75) against the nobility and system of serfdom. With the help of the nobility, Catherine was able to put down the rebellion, but this hardened her stance against the liberalisation of Russian society. The nobility was given extra privileges, strengthening their power over the serf population. Catherine was known for her great love of education, art and culture. She read widely and instituted one of the first schools for women. She corresponded with some of the greatest literary figures of the day, such as Voltaire and Diderot. Citation: Pettinger, Tejvan. 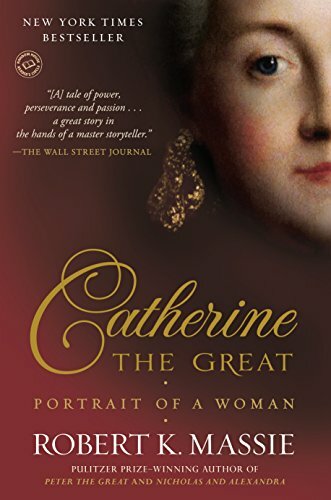 “Biography of Catherine the Great”, Oxford, UK. www.biographyonline.net. Published 27/02/2010. Last updated 13 February 2018.